The Professional Business Women of California conference was held on Tuesday in San Francisco. SAN FRANCISCO (KGO) -- The Professional Business Women of California conference was held on Tuesday in San Francisco. "Changing the Game" was the title of this year's gathering and ABC7's Cheryl Jennings introduced international tennis star Venus Williams, who came to offer advice to women who want to get to the top of their game. 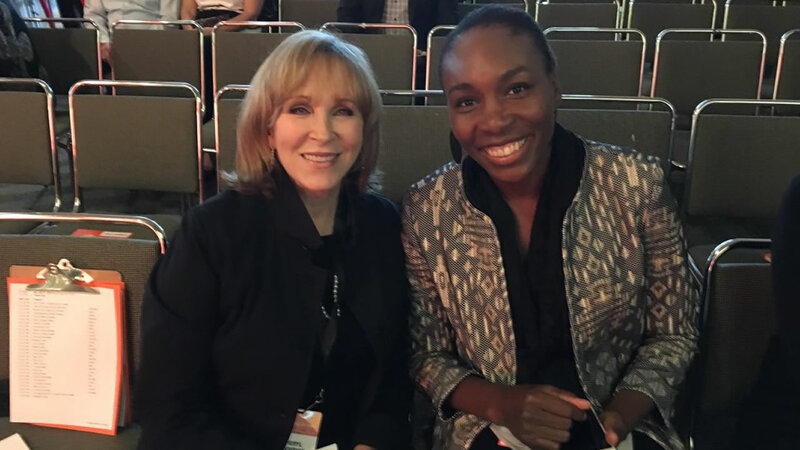 Williams was a keynote speaker at the PBWC, an event that focuses on the advancement of women. ABC7 News is a major sponsor. In its 27 years, the conference has been instrumental to rewriting the rules of the business world. ABC7 News would like to congratulate all the women out there who are changing the game.